Education is an important and necessary part of life. Education is a difficult process that is never completed no matter what age you live to become. In life, there will always be something new to learn. The world is always advancing and growing, so expanding your level of knowledge will always be a possibility. Education is also something that no one can take from you. It is also a choice we make within our own lives. We must all decide for ourselves how teachable we want to be. No one can force you to become educated. Education is also a great debate in our country with our children rapidly falling behind children of other nations. The pressure keeps mounting for our children to advance their education at a more rapid pace in efforts to play catch up. I figured education is a subject we should all be talking about considering the education of our children will ultimately effect this country’s future. 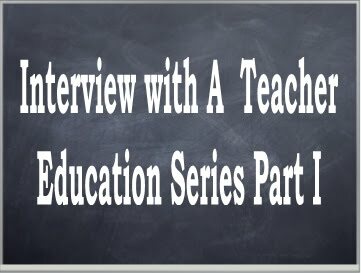 To get the conversation rolling, I thought we would get personal and honest in a three part interview series on education. In this series I ask a teacher, parent, and student how they felt about what is presently going on within our schools by discussing everything from parent involvement to how the American public educational system spends money. To kick off the series is today’s interview with an anonymous teacher who has devoted 15+ years teaching in the Upper Cumberland region of Tennessee. This teacher has taught high school age students of every grade level, all the while observing the changes that have taken place over the years in parents, technology, and the public education system. Here is what one veteran teacher, also the parent of a school age child, had to say when asked to get brutally honest about education. Answer: against - they really don't serve a purpose other than to keep students from expressing their own personalities. Also against school rules against allowing students to color their hair and have piercings. What's wrong with purple high lights or nose rings? As long as the important parts are adequately covered, I see no reason for strict dress codes or uniforms. Question: How involved do you want parents to be in the educational process? Question: Can a parent be to helpful? Answer: I wouldn't call it being "too helpful", I'd call it becoming a point of frustration for the teacher. Question: What are some of the most helpful things parents can assist a teacher with? Question: How important do you think music/arts in the school system are? Question: What makes you feel the most appreciated as a teacher? Question: Do you think students have changed over the years? If yes for better or worse? Answer: Yes, definitely for worse. Students expect to work much less now than when I first started teaching. I can see a huge change over the last 10 years. I seem to have a larger percentage of students now who are lazier, work less, and really don't seem to care as much as the students I had 6-8-10 years ago. They seem to have a sense of entitlement - if I show up for class at least most days each week, you should pass me, even if I don't do the work. It seems to come from their parents. Question: Do you think the bad economy has an effect on a students learning abilities? Answer: I don't think the economy affects students learning abilities. Question: If you had it to do all over would you become a teacher knowing everything you know now? Question: What is the single most important thing you try to teach your students? Question: How has technology changed teaching? Answer: It is easier to find examples of what I want to show them - pictures, video clips etc, than when I first started teaching - google, youtube, etc have changed all that. Question: What do you expect out of your students? Answer: I expect them to respect each other and me, pay attention in class, and do their work. But as the Rolling Stones say, you can't always get what you want. I guess I'm getting more cynical as I get older.